Sierra Leone is seeking to deepen the relationship with IITA as the country aims to boost its agricultural productivity to create wealth and jobs for the youth. To achieve this objective, a delegation from the West African nation held a meeting with IITA in Ibadan, 5-8 April, to review past and present collaborative efforts, identify successes made and lessons learned. Discussions were also centered on exploring new areas that might be beneficial to the two parties in future. Dr Joseph Kargbo, Director General of the Sierra Leonean Agricultural Research Institute (SLARI), said IITA was a strategic partner to Sierra Leone’s agricultural transformation efforts. He stressed that the Institute’s contributions over the years had led to the development of human capital/ personnel most of who are currently contributing to the agricultural development of the country. In addition, technologies developed at IITA have been adapted to Sierra Leone’s conditions and released to farmers. Kargbo, who took over from Dr Alfred Dixon (now IITA Head of Partnership Coordination Office), wanted to see a more prosperous country, producing food and adding value to it. “For us to achieve our goals, we need to work with you more than ever before,” Kargbo said. Dr Kenton Dashiell, IITA Deputy Director General, Partnerships & Capacity Development, welcomed the delegation and reiterated IITA’s commitment to working with Sierra Leone. He pledged that ongoing initiatives would be strengthened and sought Sierra Leone’s cooperation, especially on the West Africa Agricultural Productivity Program (WAAPP). Dr Dashiell’s position was reechoed by Dr Robert Asiedu, the Director for West Africa, who commended the support from Sierra Leone especially for hosting the Institute’s station and for working together on WAAPP, SARD-SC, and other projects for the benefit of farmers. Francis A. Sankoh, Director General, Ministry of Agriculture, Forestry and Food Security (MAFFS), committed to work on areas of concerns raised with a view to ensuring that an extension was accommodated for the success of the WAAPP in particular. Sankoh lauded IITA for the training of Sierra Leonean students, some of whom were on scholarships, adding that the initiative contributed to addressing the skills gap in the country. Alpha K. Lakoh from Njala University; and Sulaiman S. Sesay, Project Coordinator, WAAPP – SL. 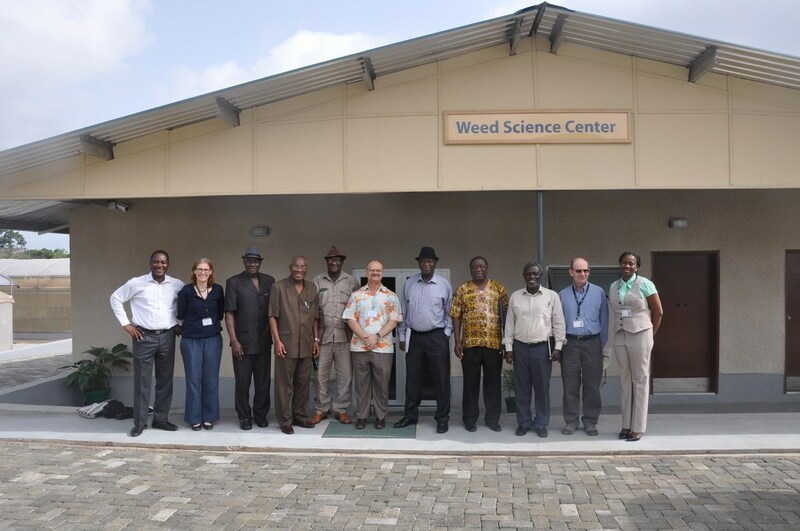 Dr Dixon led the team on a tour of IITA. Places visited include the Yam Barn, cassava breeding and end users’ assessment center, Business Incubation Platform, IITA Youth Agripreneurs (IYA), Genetic Resources Center, International House, and the Geospatial Laboratory. The team was excited about the IYA program, particularly at the fish hatchery and ponds and soymilk processing unit where young men and women displayed their passion for agriculture. They also expressed interest on the value addition of cassava, particularly confectionery, at I-House, the sharing of genetic resources, and technology transfer in the area of cassava processing at the Yam Barn.